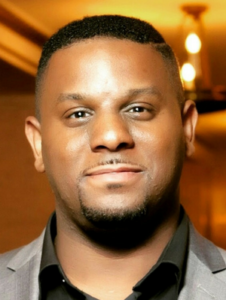 Anthony Charles Galloway, Equality Illinois’ Director of Civic Engagement, is an East St. Louis, IL, native with experiences as an artist, social entrepreneur, fundraiser, and activist; in fact, he says he really can’t tell them all apart. In 2006, Anthony was featured in the award-winning documentary “Coals Under Pressure” documenting the lives of black queer men. After moving to Chicago in 2007, he founded No Wire Hangers Inc., a social enterprise aimed at highlighting the assets of the Black Queer experience in Chicago. Anthony is the former Director of Strategy and Implementation for Step Up. Get Tested, a countywide HIV/Hepatitis-C campaign. In 2004 at the age of 23, Anthony was the recipient of the Creating Change Award by the National LGBTQ Task Force, a recipient of the 30 under 30 honor by the Windy City Times and the 2017 Bright Horizons honoree from Planned Parenthood.